Home delivery service is applicable to all orders. Is delivery available for addresses without elevator service? All orders above HK$400 net after applying promotion codes are eligible for our FREE home delivery service. Orders below the above stated amounts are subjected to delivery surcharges, HK$55 for home delivery. Each order can only be delivered to one location. Do you deliver everywhere in Hong Kong? Our service covers Hong Kong Island, Kowloon, New Territories and some outlying islands which include Tung Chung, Ma Wan and Discovery Bay. Delivery service is currently unavailable for the following areas: Lung Kwu Tan, Lok Ma Chau, Lau Fau Shan, Mai Po, Sha Tau Kok, Lo Wu, Ta Kwu Ling, Man Kam To, Tai Po – Plover Cove (Including Luk Keng), Sai Kung – Pak Tam Chung (including Hoi Ha Wan), Clear Water Bay – Po Toi O, Clear Water Bay – Tai Miu, Outlying Islands (except Tung Chung, Discovery Bay, Ma Wan). We do not make deliveries to the following areas: (1) Outlying islands (except Tung Chung, Discovery Bay, Ma Wan), (2) Restricted districts and areas that vans cannot access or require parking. How can I select home delivery date? After you click "Proceed to Checkout" from "My Shopping Cart", and finish selecting your delivery address, you are directed to the "Select Your Delivery Date" page. You can choose your preferred date on this page, and continue with your checkout procedure. How can I change my home delivery address? Can I give an ATL (Authority To Leave) for my home delivery to my doorstep security/ guard/ concierge? Sure! We will give you a call before delivery and you can leave us your request! However, frozen and chilled goods should be refrigerated immediately and we will not be responsible for any deterioration caused by concierge delivery. We support credit card payment of VISA, MasterCard, American Express, Apple Pay and Google Pay. You may also use Common Point (if any) in your account to pay. Details of Common Point usage please refer to "Terms & Conditions". Set a new password for your user account, by following instructions in our Welcome Email. You can either login via your registered email or social media (if your registered email is the same as Facebook or Google). Click "My Account" at the top right corner of landing page on desktop/tablet; or click the square button at the top left corner on smartphone. Then click “Login/Register”. To create an account, you have to fill your i) Registered mobile number, ii) GC Card number and iii) Registered email. Remember to do the email confirmation before activating your account. Click "My Account" at the top right corner of landing page on desktop/tablet; or click the square button at the top left corner on smartphone. Then click “Login/Register”. You have to confirm your registered email to activate your account after filling the required information. How can I update my personal data/ contact information? After login, click "My Account" at the top right corner of landing page, then click “Edit Account” to add/change your display name and contact information there. After login, click "My Account" at the top left corner of landing page, then click “My Account” > “Account Details” > “Edit Account” to add/change your display name and contact information. After login, click "My Account" at the top right corner of landing page, then click “My Account” > “Account Details” > “Change Password” to change your password there if you are not logged in via social media . After login, click "My Account" at the top left corner of landing page, then click “My Account” > “Account Details” > “Change Password” to change your password there if you are not logged in via social media . I have forgot my password. Click "My Account" at the top right corner of landing page, then click “Login”. Select "Forgot Password?" and fill in your register email address as instructed. We will send you a password reset email. Click the square button at the top left corner and select "Login/Register". Select "Forget Password" and fill in your register email address as instructed. We will send you a password reset email. Can I change my login email once register successfully? You can email to info@greencommon.com. Our customer service will help to arrange. After login, click “Add to Cart” to put products you like into shopping cart. You can adjust the item number you would like to buy in the same product box. Then click the shopping cart at the top right corner > “View Cart”. You will be directed to "Shopping Cart". Confirm your shopping list here and click "Proceed to Checkout". If you haven't logged in, we would request you to do so to proceed. If you have logged in, you can follow instructions to choose delivery address and date, then select your payment method and confirm your payment. Your order will be placed upon your payment confirmation. After login, click “Add to Cart” to put products you like into shopping cart, then click the shopping cart at the top right corner. You will be directed to "Shopping Cart". Confirm your shopping list here and click "Checkout Now". If you haven't logged in, we would request you to do so to proceed. If you have logged in, you can follow instructions to choose delivery address and date, then select your payment method and confirm your payment. Your order will be placed upon your payment confirmation. If I logout without placing an order, will the items in the shopping cart be kept? If you add items into shopping cart and logout before placing an order, these items will be saved in your shopping cart. Next time when you login greencommon.com, you can still checkout with these items. However, as system does not keep the stock for the items saved in shopping cart, the items may be sold out at that time although they are saved in the cart previously. After login, go to “My Account”, then click “Transactions”. You can check your current order status and past orders there. No. You can still add items to the cart before you register, but you are required to register at www.greencommon.com to purchase your selected products and enjoy our delivery service. Can I send an offer to a different delivery address? Sure. You can change or add more delivery addresses in "My Account", or you can do this at the "Delivery Address" page during checkout. You can also change your default delivery address anytime on the same page. Please note that each order can only be delivered to one single delivery address. To deliver items to an additional address, please place a new order. How can I add the products to wish list? You will be directed to the product detail page after clicking to view an item. Click "Add to wishlist" above the product image. You can go to "My List" under “My Account” by clicking the top right corner (where your login name displays) to check the whole wish list. You will be directed to the product detail page after clicking to view an item. Click the heart icon above product photo to add product into cart. You can go to "My List" under "My Account" by clicking the top left corner of the screen and to check the whole list of favourite products. Go to Eshop page. On the left hand side on your desktop/ tablet, or click the green button on the right of your smartphone; you will see a navigation menu listing all the product categories. Choose the product category you are looking for, and further sort the products by categories, brands or tags. You can also search the products by typing the product name, product brand or any related tagging words of the product in the search bar. How can I select products that are right for me? You can use "Right for You" to select products that are suitable for you. This function personalizes products recommended by us based on your dietary preferences and own health goals. Switch on the button "Default Right For You" on the middle-right of the E-shop page, then filters in side bar will be default according to your preferences in dietary questionnaire. You can switch the button off if you want to reset "Right For You" settings. How can I compare different products? You can compare our products easily by using the "Compare Products" function. But it is only available on Desktop/Tablet temporarily. Select products for comparison first and click "Compare" button at the right bottom of the product. Then, click "+" button on the right side of the page and you can see all the selected products. If you confirm, click the green "Compare" button. Then, the page will show you all the detailed information of the products including its brand, ingredients, nutrition facts and values. What are the meanings of different Value Icons? Value icons on each product are categorized by its "Diet Types", "Nutritional Qualities", "Environmental and Social Values", and "Healthcare Functions". For the explanation of value icons, please refer to https://www.greencommon.com/hk/en/value-icons/. If the product you want to buy is out of stock, click “Notify Me” to receive email notification when it is back in stock. What if the product package contains information different from product information on the website? We try our best to provide complete, accurate, up-to-date information on our website and we are truly sorry for the inconvenience caused! This site may contain inaccuracies due to constant updates on product information and we would be grateful if you could inform us at info@greencommon.com about any misleading or incorrect product information! Common Point is equivalent to the same face value of Hong Kong Dollar and used in rebate/refund when customers shop at Green Common. How to use Common Point? When you pay, you can choose to use Common Point to pay partial or full transaction amount. 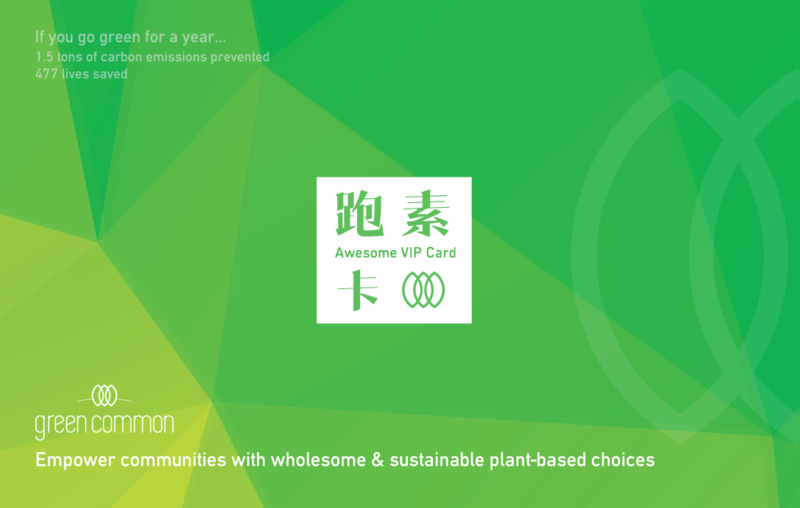 Every dollar you spend at Green Common will be converted to 1 Common Point, and every 200 points can in turn be used as HK$1 in Green Common stores. Common Points will be updated simultaneously after shopping. Common Point credit balance can be used in your next purchase. How to check the transaction history and balance of Common Point? After login, go to “My Account”, then click “Common Point” under “My Wallet”. You can check your current order status and past orders there. How long is the Common Point valid for? All the Common Points will be cancelled after December 31st every year. Any expired Common Point shall be forfeited automatically and customers shall not be entitled to any form of compensation. Can I transfer the Common Point to other accounts or redeem it for cash? Common Point is redeemable for cash but not transferable. Green Common launches different promotions from time to time, and the promotions operate in the form of promotion codes. Each promotion code carries different offers, for offer details please refer to the terms and conditions of the related promotion. During promotion period, you can enter the promotion code under the "Promotion” tab on shopping cart page. Once the promotion code is applied, the offer will be shown in the shopping list and you can then complete the checkout procedures. During promotion period, go to shopping cart page, click “Check Out” then enter the promotion code. Once the promotion code is applied, the offer will be shown in the shopping list and you can then complete the checkout procedures. 1. Only one promotion code can be applied for each order. In addition, when using the promotion code with discount amount, total amount of the order must be at least $10 or more than the discount amount. (For example, if a promotion code carries $50 discount, the total amount of the order should be at least HK$60). Green Common member offer cannot be applied together with the offers under promotion code. *Note: Brands listed above are subject to changes. 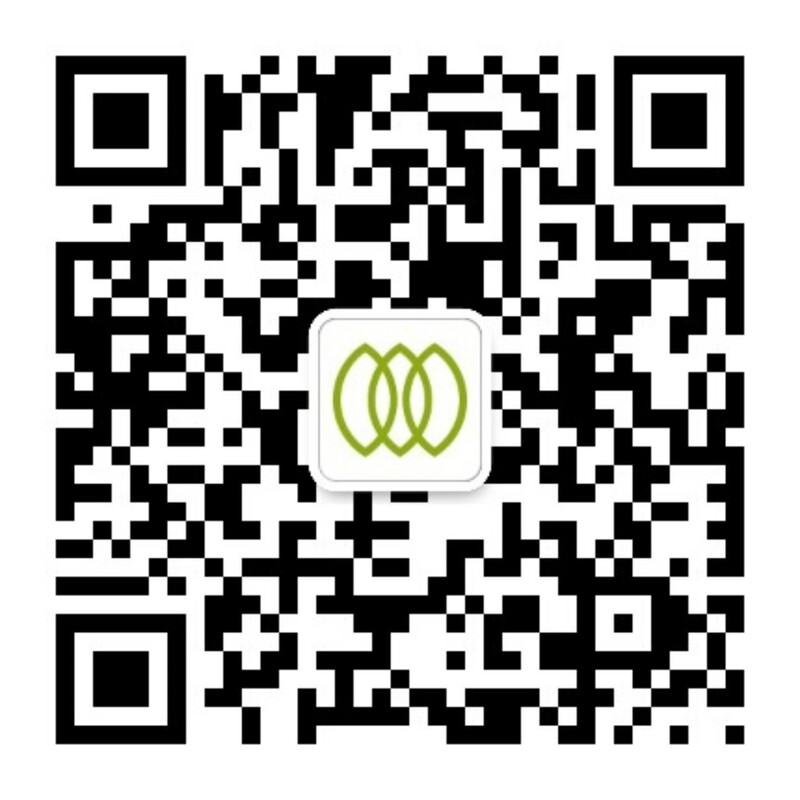 Each promotion code carries different terms and conditions, for details please refer to the related promotion. Is the Promotion Code repeatedly used by one account? It depends on the policy of the promotion, for details please refer to the "terms and conditions of related promotion. What browsers does greencommon.com support? If the product is returnable, you can either choose to return or to exchange if it is damaged at the time you received it. You can request replacement of specific product(s) within 3 working days after delivery. Retain all packing materials including the original product packaging, Green Common packaging (if applicable), invoice and any gifts. Contact us via email (info@greencommon.com) within 24 hours of receiving your order to report the case. We will notify you the status of your return as soon as we received and inspected the products. If eligible, we shall replace with a new item whenever possible. If the item is out of stock, refund shall be made in terms of Common Point (amount shall refer to the price at the time of purchase) to your Green Common membership account. *If Green Common does not receive the product within 7 days, we reserve our right to reject your request of return. Goods must be unused, unopened and in the same condition as you received it. Please include the followings: the original packaging, Green Common packaging (if applicable), tags, certificates, manufacturer warranty card, instructions, gifts and all other accessories etc. Please also ensure the package is undamaged, tags are intact and attached to the item, and if any of these are damaged, they are deemed to be non-returnable. We will issue Common Point as refund, including any Common Point used upon purchasing the refunded product. However, coupon used at the purchase cannot be refunded or re-issued. If you return the product for personal reason, your paid delivery fee (if the order associating with the product is less than $500) cannot be refunded. What should be note before returning the product? Goods must be unused, unopened and in the same condition as you received it. Please include the followings: the original packaging, Green Common packaging (if applicable), tags, certificates, manufacturer warranty card, instructions, gifts and all other accessories etc. Please also ensure the package is undamaged, tags are intact and attached to the item, and if any of these are damaged, they are deemed to be non-returnable. If Green Common does not receive the product within 7 days from the received date, we reserve our right to reject your request of return. Once we accept your return request, refund will be made in Common Point to your Green Common account, which can be used at your next purchase. Please note that we will not be able to provide a refund on any shipping fees charged or any discount or coupon used in the original order. Chilled and frozen goods, or goods which have been opened, used, without original packaging, tags, and other accessories (different condition as you received it), or bought by mistake, personally inapplicable, damaged after use, or refund request is not made within 3 days after delivery are deemed to be non-returnable. Non-refundable and non-exchangeable goods will be indicated under product’s description. Please pay special attention to the return or exchange expiry date. Any opened, used or products damaged by customer are neither refundable. Each order only allows return once. How to return or exchange if the products are found damaged? In case of damage, please record the damage by photos and email us at info@greencommon.com. Once the claim is confirmed eligible, we shall replace with a new item or refund in terms of Common Point. Please retain all packing materials including original product packaging, Green Common packaging box, product labels, tags, certificates, manufacturer warranty card, manuals, product accessories and any gifts for return or exchange. Please ensure product labels and tags are in good condition, any damage or folds will be deemed as non-returnable.